What at first is reminiscent of the menu screen for the online mode of Mario Kart Wii, with the same jostling digital sounds and a similar vibe with smart snappy beat, is in fact a piece of music that charts a journey from here to Jupiter, the fifth planet, something much more raw and adventurous than what you first hear. Actually naming themselves 5thPlanet, too, the production twists with racing-stripe arpeggios raining down and wiggling weirdly as thin gasping hi-hats, bouncing toms and constant kicks keep up a keen sense of urgency with stuttering tick-tick fills, and this wonderful creeping electronic chord that gradually fizzes into existence with all the drama and suspense of a noir stakeout or surreptitious chase scene; the danger as the ship javelins through the asteroid belt separating us from the outer planets is highlighted here with a breezy uptempo quality suggesting calm. That's where the videogame element comes in: the peril is mild because the character is an old hand at navigating through asteroids. 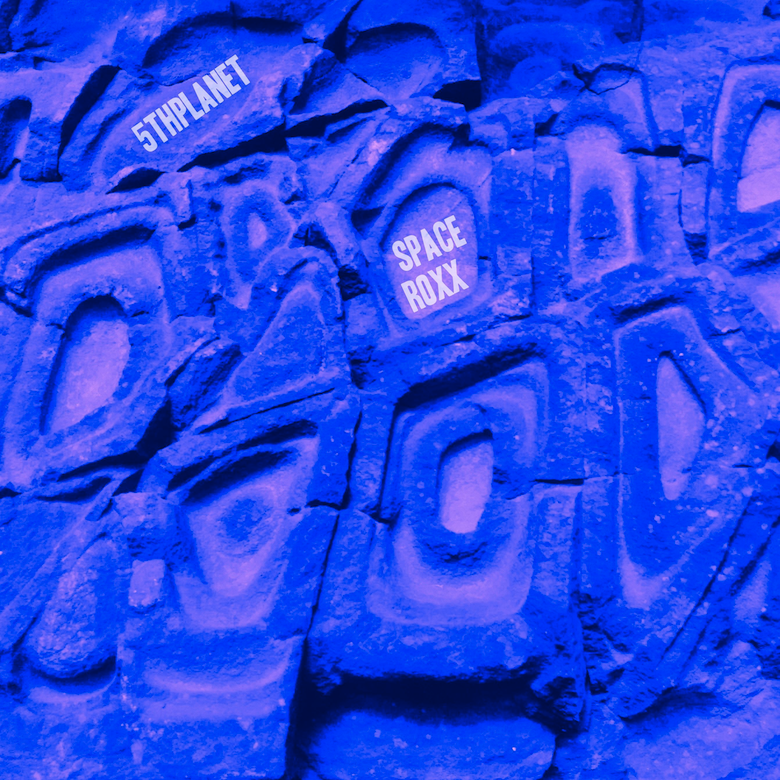 The imagery conjured by 'SpaceRoxx' – a reference to those pesky obstacles – is fresh and exciting, a less jazzy approach to space travel than that of Cowboy Bebop's soundtrack, but just as evocative in its own somewhat lo-fi futuristic minimalist house with just a pinch of techno. And the warm sounds, the fuzzy flushes of thick synth that well up behind twinkling plaintive melodies, and those too, these suggest a return, an attainment of safety, an escape even just for a moment from running the gauntlet, a homely feel. The hazards and weirdness of galactic goings-on, the kinetic energy of deep space manoeuvres, the tension of sci-fi, it's all alive, gorgeously organically so, in this descriptive piece of sonic imagination. 🔔 More of 5thPlanet's experimental illustrative world can be found on their 2016 EP, BIGCITY$OUND—catch it over on Bandcamp.